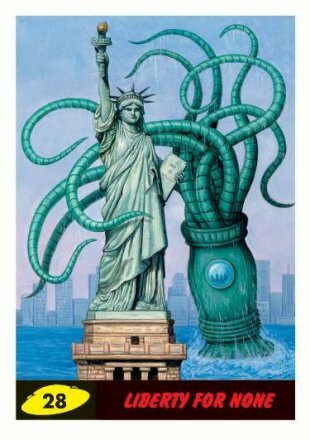 In an age where Tim Burton is mostly just twisting popular licenses into failure, nightmare fuel, or some combination of the two, a lot of people have forgotten his 1996 cult classic, Mars Attacks. 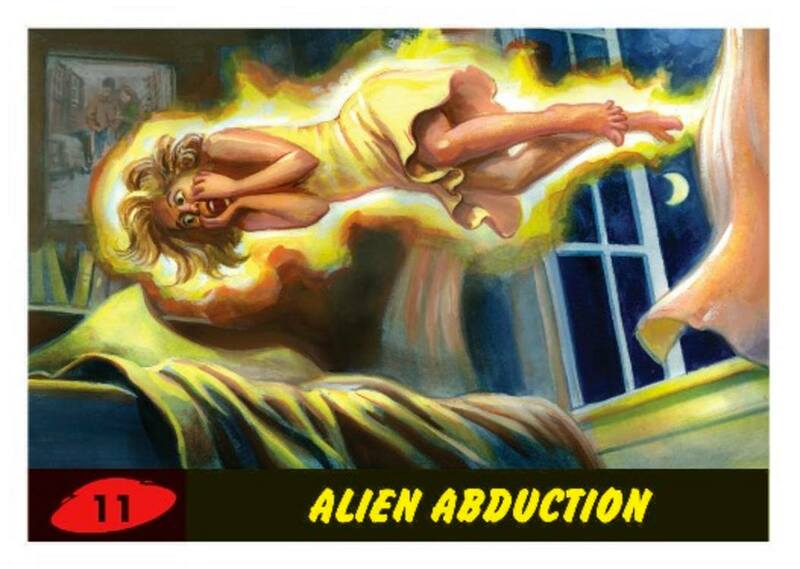 Even fewer people remember that the movie was based off a series of trading cards that came out in the 1960s. 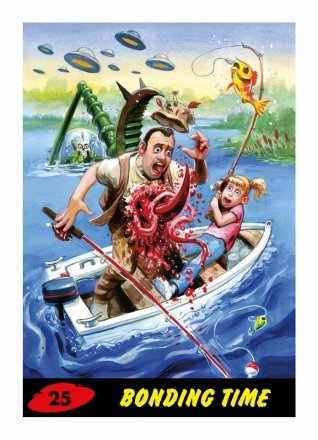 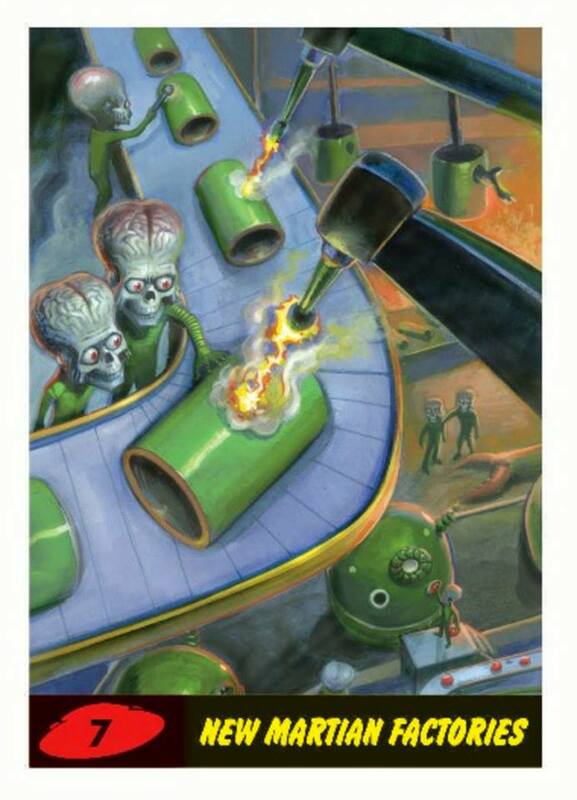 21 years after the film hit theaters and 55 years after the original card series was released, Topps has just come out with the next chapter in the saga - Mars Attacks: The Revenge! 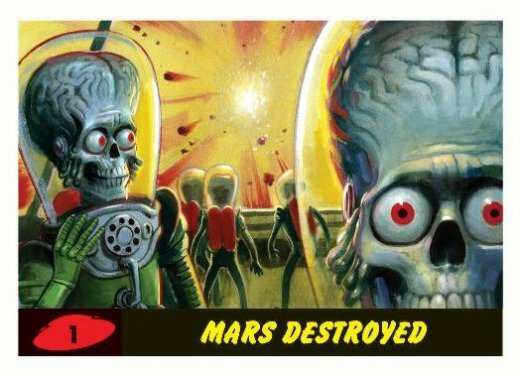 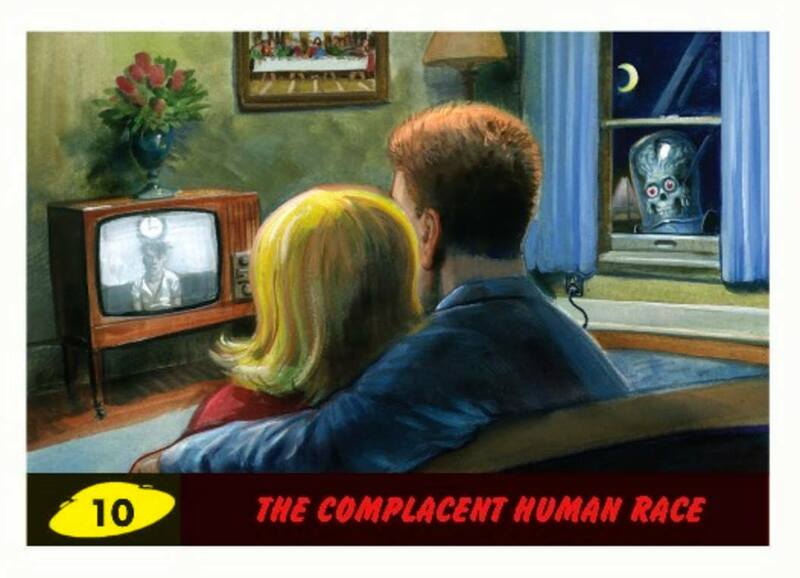 The story that is told in the new cards is set Set five years after the events of 1962 Topps Mars Attacks, and is every bit as awesome and pulpy as both the original cards and the 1996 film.